Simply stunning! 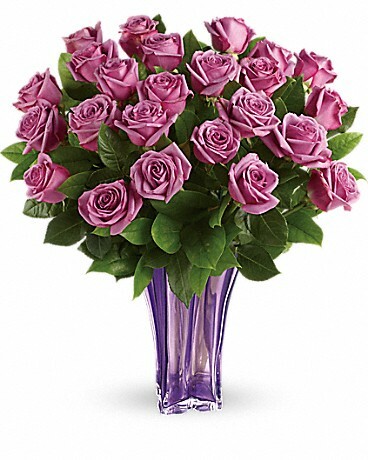 She'll adore the simple, elegant splendor of lavender long stemmed roses presented in a glorious blown glass vase. Lush lavender roses are accented with fresh lemon leaf. Delivered in Luxurious Lavender vase.